Stylish Reception Table to give good look & pleasant wel come of guest. 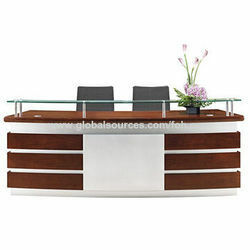 In order to fulfill the demands of our esteemed clients, we are engaged in providing an optimum quality array of Reception Bar Table. These are used as a reception table. Inside, a lot of space to be used for a bar. 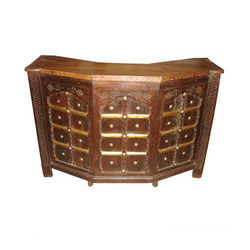 Made from sheesham wood with excellent bar decor these are suitable for restaurants and hotels.